The holiday season is here and here are our ideas for the green energy nerd on your Christmas list. This year we've got five gifts that would look great under the tree for the person in your life who loves energy efficiency or clean energy. The holiday season is here and here are our ideas for the green energy nerd on your Christmas list. Last time we featured some doozies, some that even made their way into their own episodes like the Nest programmable thermostat, the electric bike and the home energy audit. These ideas are still as good as they were last year and the Nest thermostat is still one of our favourites. But this year we've got five gifts that would look great under the tree for the person in your life who loves energy efficiency or clean energy. These make sense for people who go on multi-day hiking or camping trips or those who just want to be able to call their loved ones in case of an emergency. 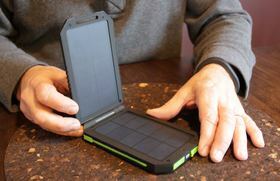 It is a battery pack charged by a couple of small solar modules that can charge most phones and tablets. Our recommendation is the Cobra CPP 300. It comes highly recommended by the Wirecutter an online gadget rating site. A full time mountain guide reviewed and compared it against 10 other competitors. The Cobra CPP 300 has high quality solar panels that can charge in low light and enough battery storage to charge a phone up to three times. You can even charge a phone and your tablet at the same time thanks to two charging outlets. It costs $70 and we got ours from Amazon. Our second gift combines two important trends that can do a lot in regards to energy efficiency - home automation and smartphones. 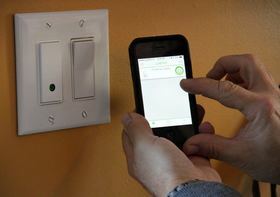 The Belkin WeMo Light Switch is a programmable, remote switch that connects to your network and to your phone through an app. We've been using this device for a few months now to turn our Christmas lights on and off. But some people are getting super creative with these devices -- starting their coffee in the morning or even turning off their Xbox if they haven't met their step goal for the day with their Fitbit. You can buy programmable plugins, light switches, appliances and you can even network them together to make an automated home like those first seen on the Jetsons. 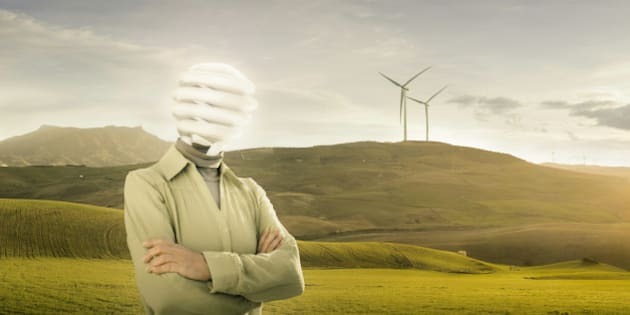 However, actually saving energy however depends on the user and the programs you set up. This, hands down, is one of my favorite appliances of the last decade. The induction stove is the coolest, most energy efficient way to cook your food on a stovetop -- you're literally making your stir-fry with an electromagnet. Electricity flows through an electromagnet creating an invisible magnetic field that penetrates the iron inside the cookware and induces whirling electrical currents inside the pot or pan turning it into a heater. Heat then flows directly into the food or water. It boils water faster than a microwave and is a lot safer to use than a typical range. The stove we purchased was more than twice as efficient as the others in the showroom. Even Energuide recommends that you buy an induction range over conventional burners. They are more efficient than gas, than electric ceramic glass top and far better than conventional spiral electric burners. 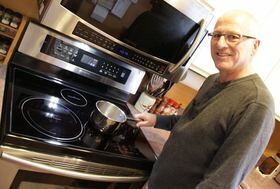 We've also toured a lot of net-zero homes over the past three years and they all have induction stoves. It might not fit under the tree, but if you do need a new stove it might make sense as a Boxing Day buy. The technology is still a little pricy in North America, starting around $1,500. 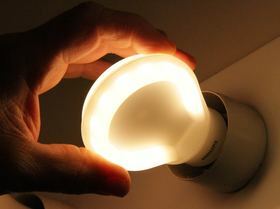 LED light bulbs make it onto the list again this year and it's for a simple reason - they've gotten even better and have become even cheaper. The three brands we recommend are the Philips Slim Style, Sylvania and Cree 60-watt equivalent bulbs. The prices range from $6.66 to $12 with the Phillips Slim Style coming in the cheapest (we got a 3 pack for $19.99 at Home Depot). LED light bulbs make great, energy efficient stocking stuffers, will last 25,000 hours, provide high quality light and are the cheapest over the life of the bulb. For our last gift we threw it out to our audience. We wanted to know what books the people who read Green Energy Futures would recommend as a gift. 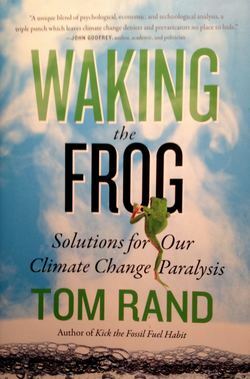 One of the first that came up was Waking the Frog by Tom Rand. We've featured Rand on Green Energy Futures before, he's a polymath and cleantech investor and a great interview on the future of clean energy. His book lays out a lot of the mental traps associated with climate change and uses math, economic models and currently available solutions to dispel them. If you really want to get wonky another recommendation was Amory Lovins' Reinventing Fire. Lovins is a long-time renewable energy and energy efficiency advocate and has crunched the numbers on decarbonizing our economy. It can be done. And the last recommendation that came to us was Naomi Klein's This Changes Everything. Here the popular writer lays out what she believes is wrong with our current system through exhaustive reporting and offers up solutions. That's it for Green Energy Futures annual gift guide. If you have any other related gift ideas let us know in the comments.